ChiIL Mama : Take the X-Men Home? Yes Please! My teens have grown up watching X-Men movies and they're still a family favorite. Now the release of X-MEN: APOCALYPSE for home viewing is looming. The Blu-ray™ includes Deleted/Extended Scenes, Gag Reel, Wrap Party Video and more! Preorders are starting soon. Don't miss this. OSCAR® Winner Jennifer Lawrence*, Michael Fassbender and James McAvoy lead a powerhouse cast in director Bryan Singer’s extraordinary follow-up to X-Men: Days of Future Past. After thousands of years, Apocalypse – the world’s first and most powerful mutant – has awakened to find a world led by humans. Intent on cleansing the Earth of mankind, he recruits a group of mutants to create a new world order. 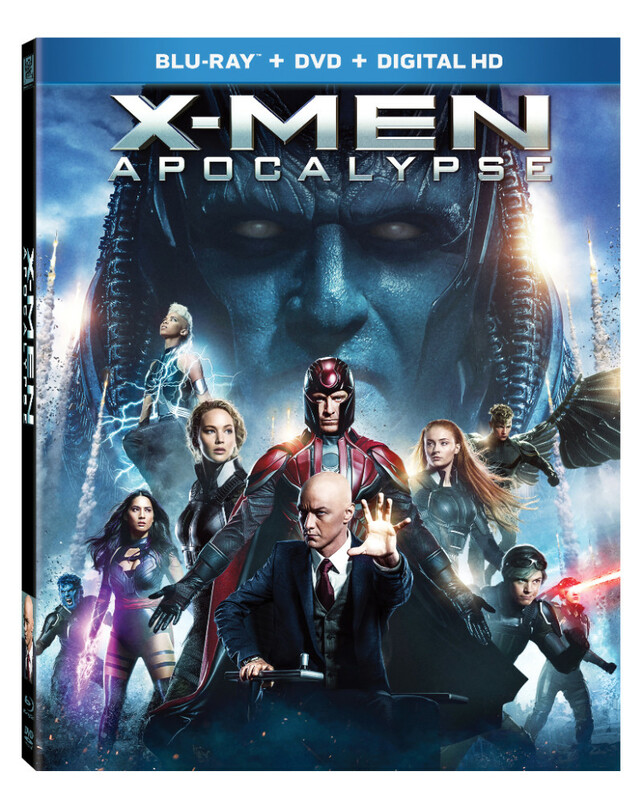 In a desperate race to save humanity, Professor X (McAvoy) leads the young X-Men in an epic showdown – against an unstoppable enemy – that will determine the fate of the world.